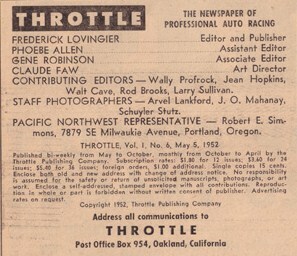 A very special thanks to Primo Giusti for allowing me to use this material from his wonderful website - WWW.TURN4.INFO. 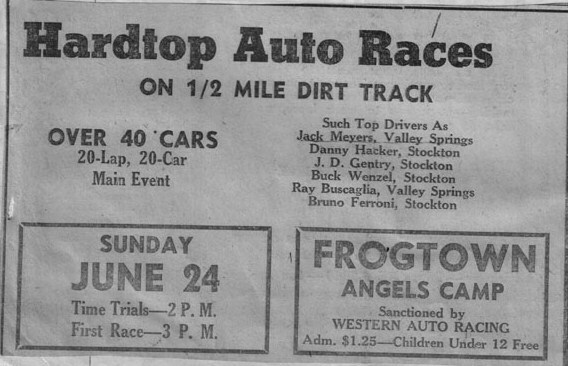 The site is dedicated to Primo's dad, Joe Giusti, a long time hardtop and super modified competitor. 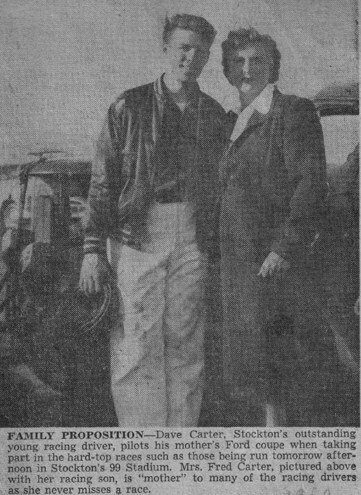 A special thanks also to the Myers family, Lori and son Jake, for preserving her parents Lois & Jake Myers scrapbook from the 1950's. 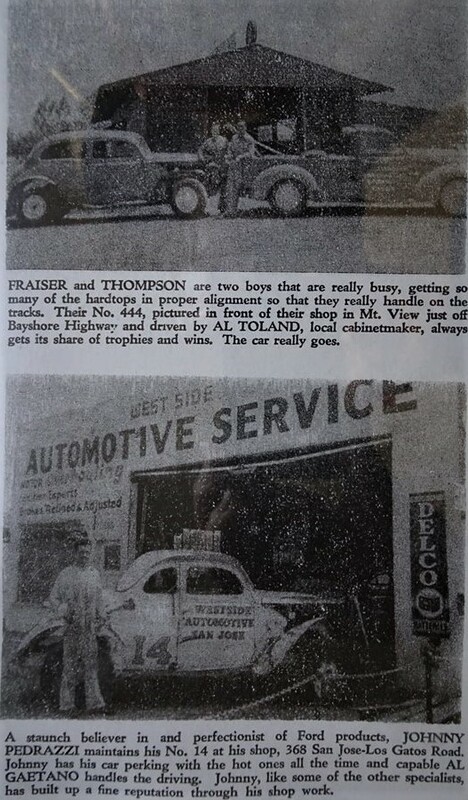 I hope you will enjoy this tribute to the 1950's as much as I did. 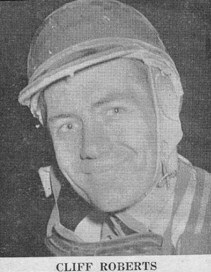 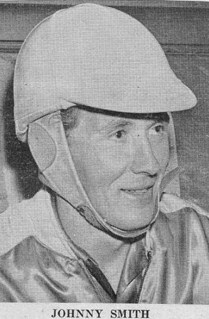 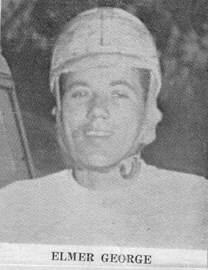 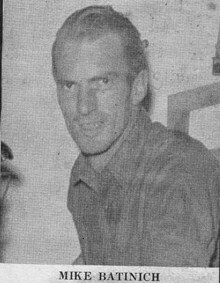 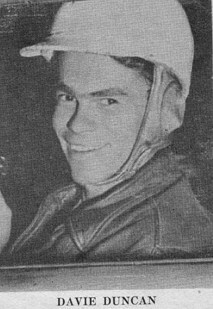 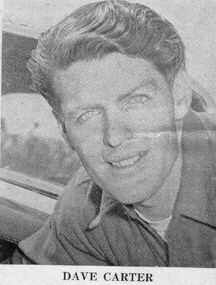 Johnny Key was the 1949 RRI champ. 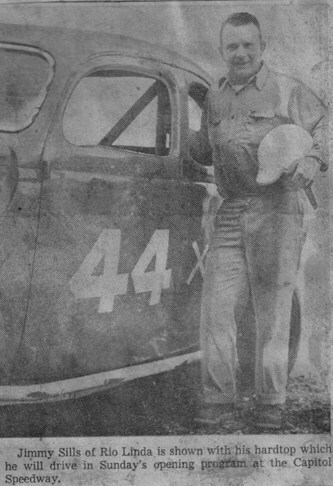 He drove the Milton Ford 6. 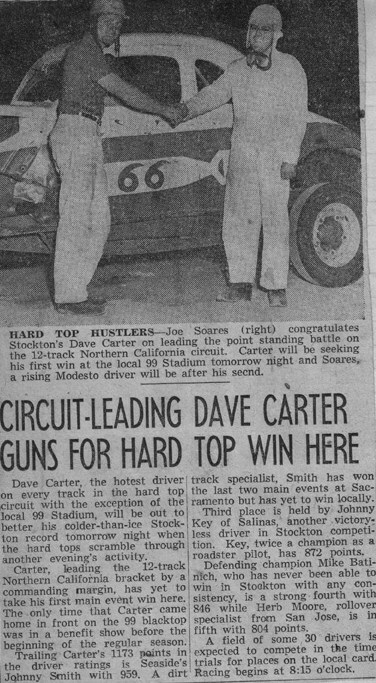 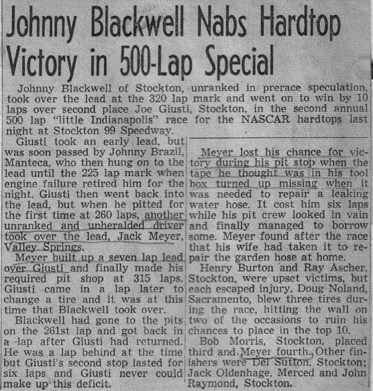 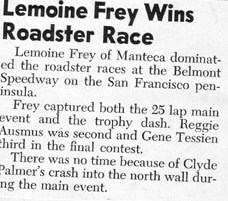 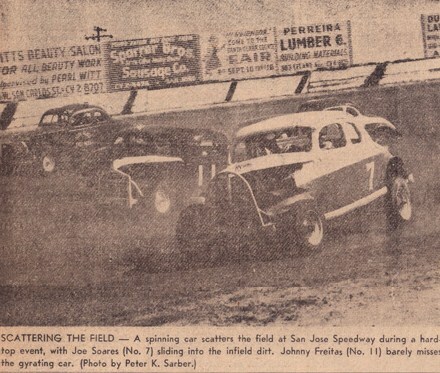 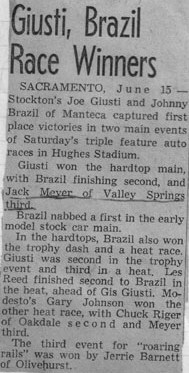 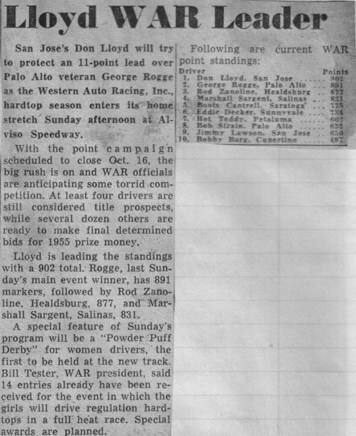 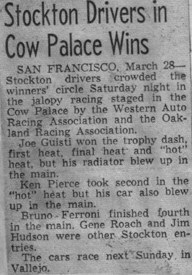 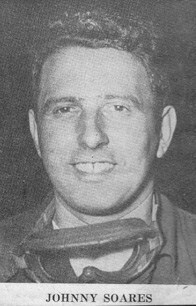 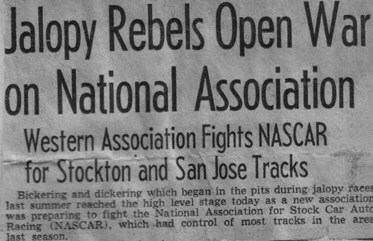 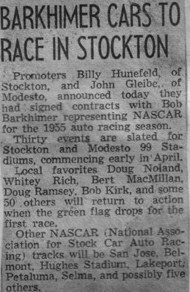 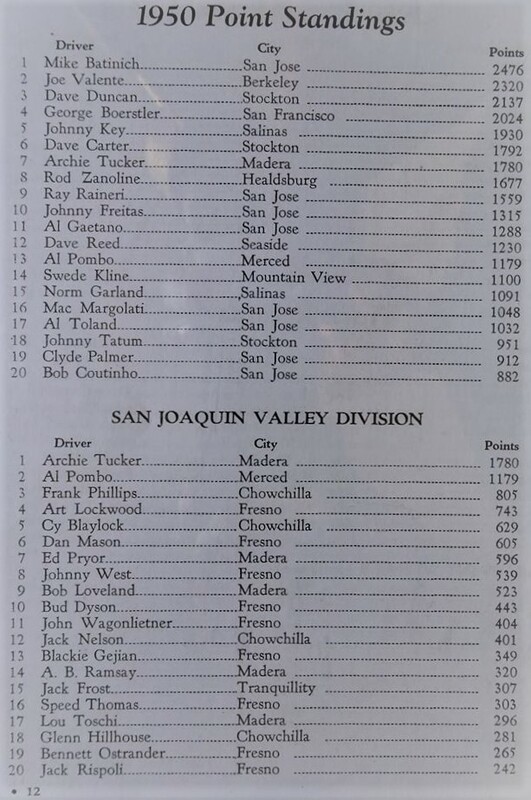 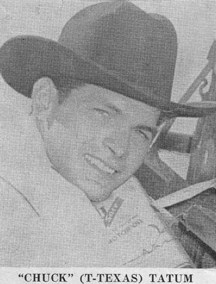 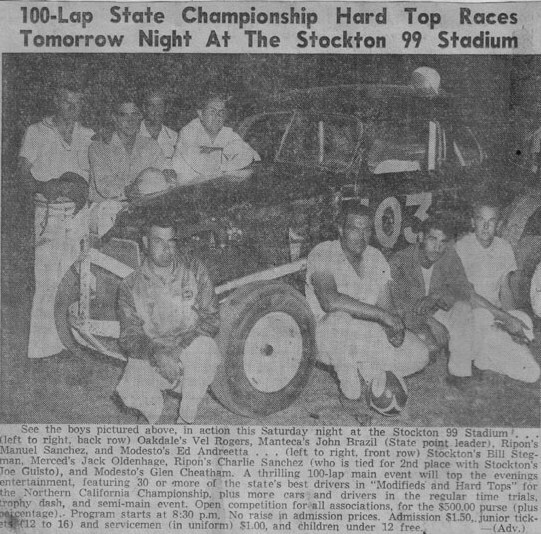 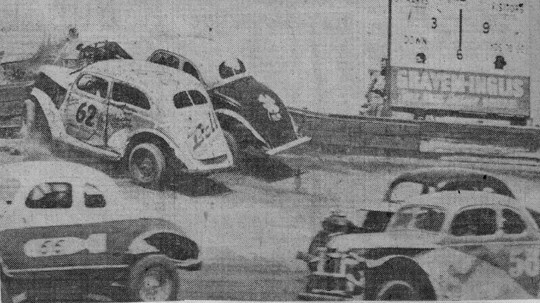 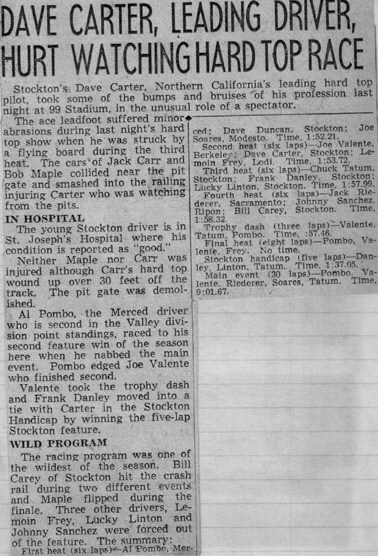 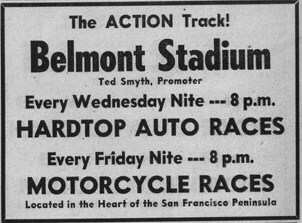 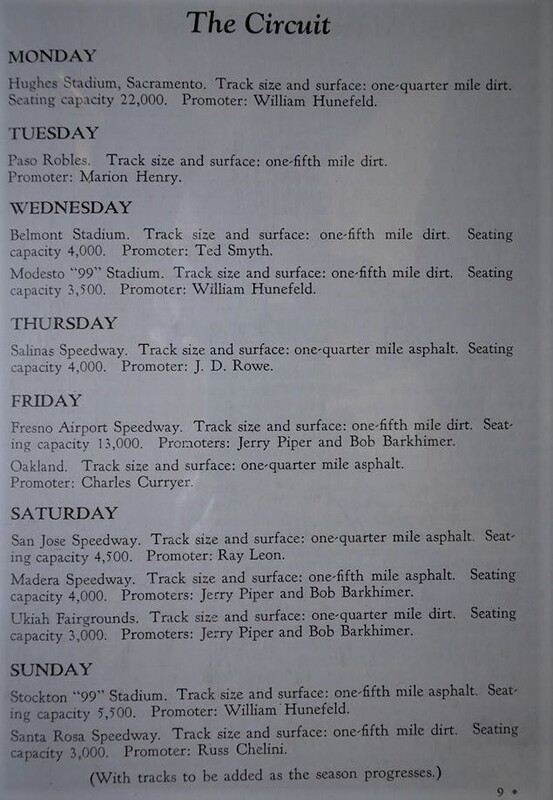 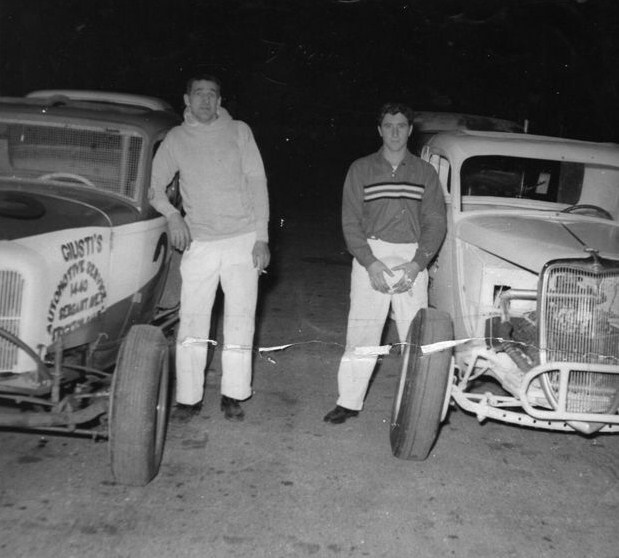 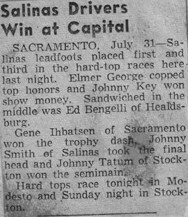 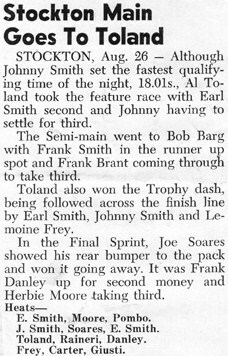 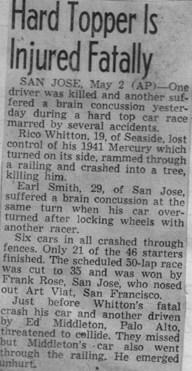 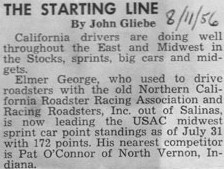 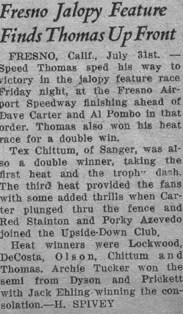 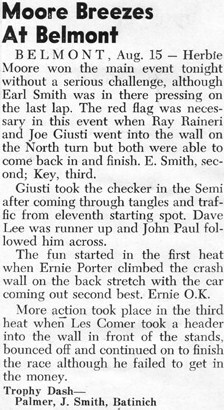 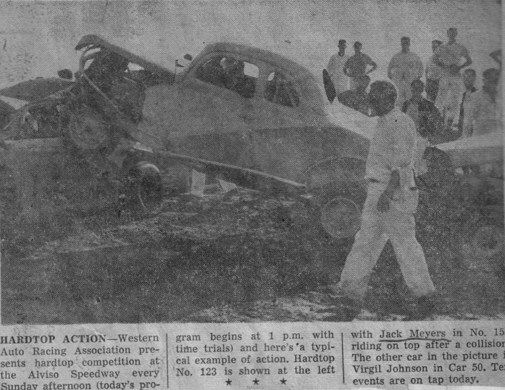 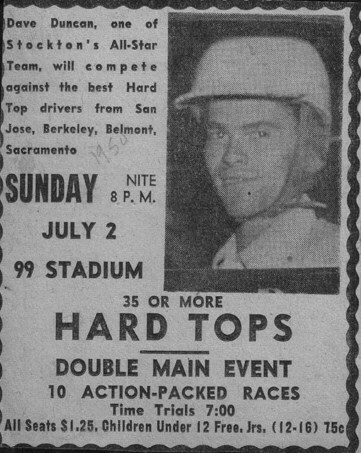 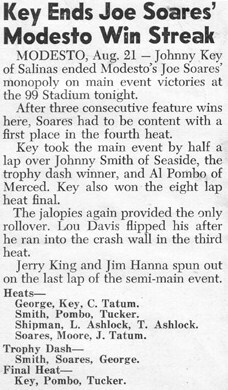 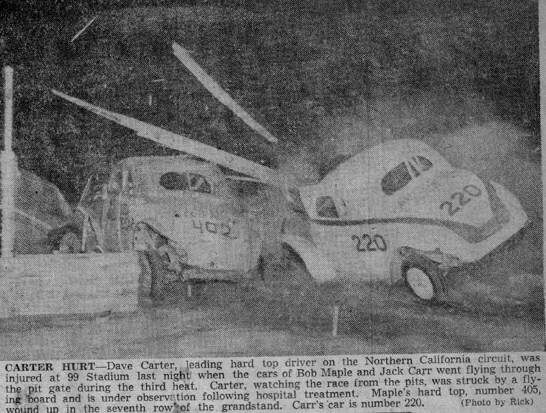 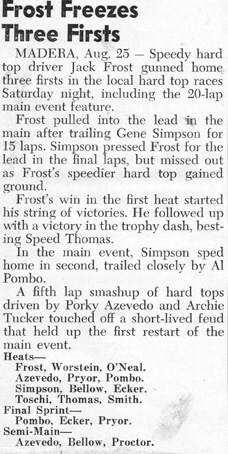 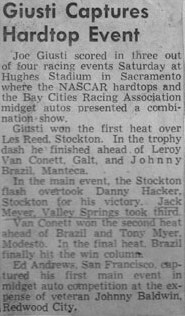 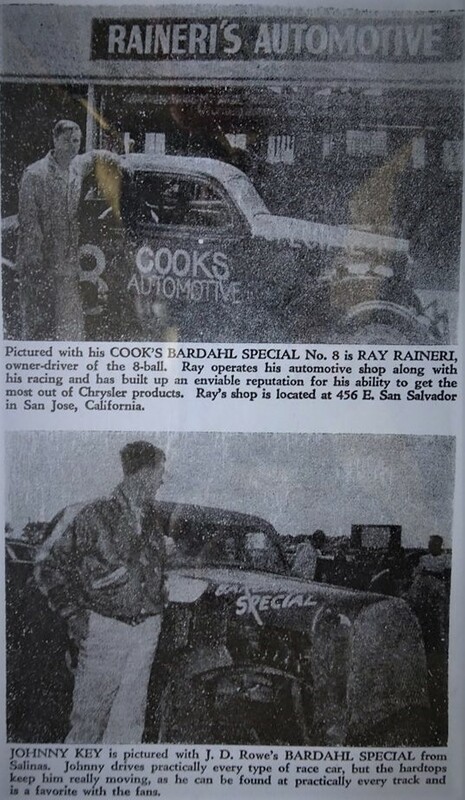 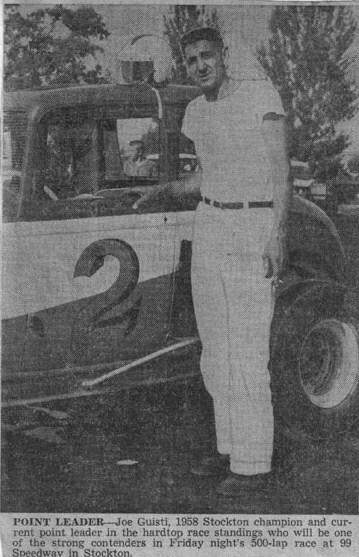 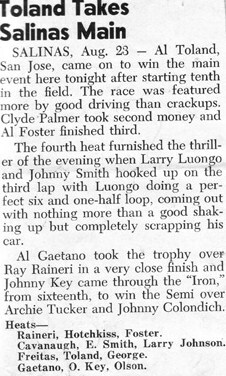 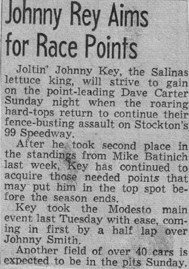 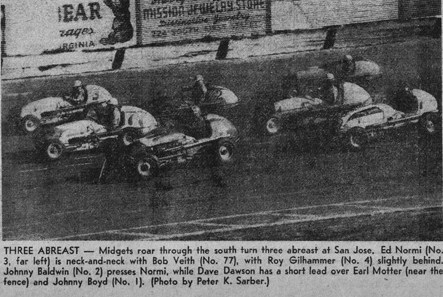 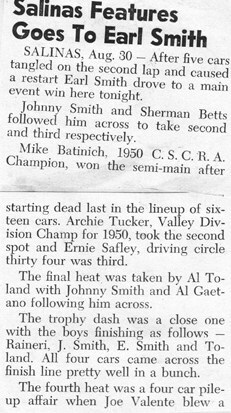 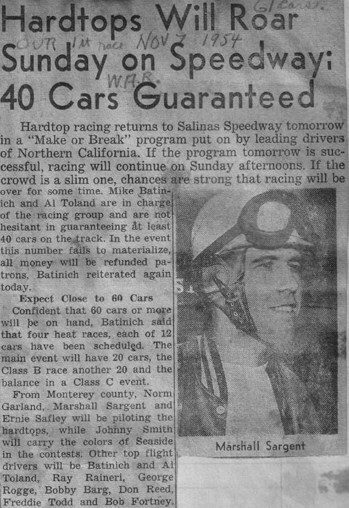 Jim O'Day, the former AAA starter at the old San Jose 5/8 mile track was the honary starter at the 1950 Sam Jose Speedway opener. 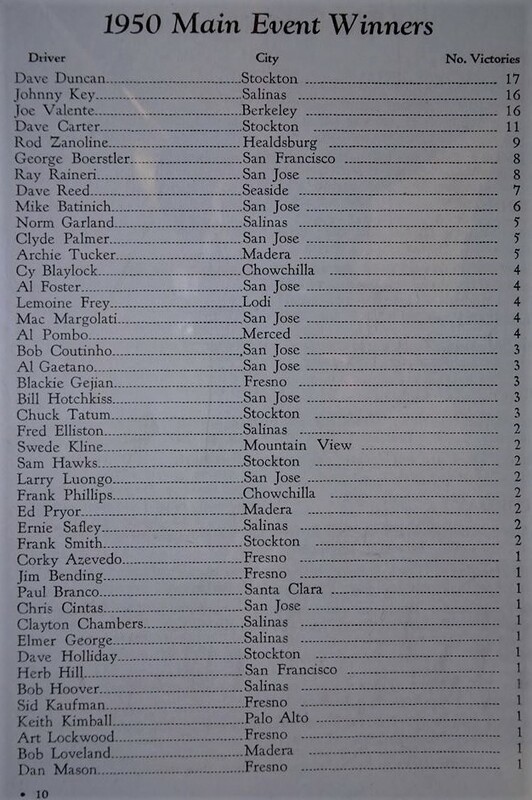 Frank Arthur was the San Jose announcer. 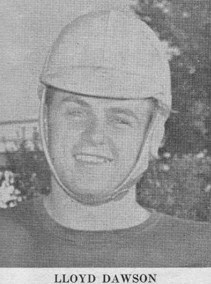 Bert Truebody was the starter. 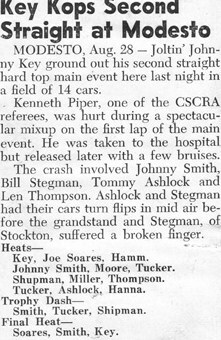 Bill Heaton was the referee. 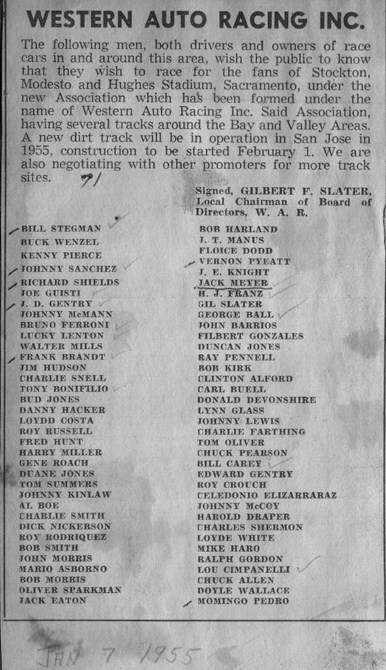 Shorty Plumley was the business manager. 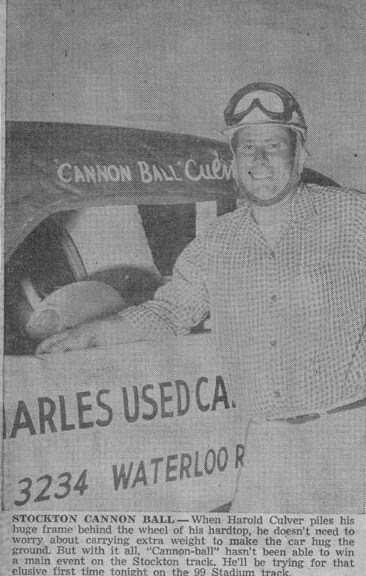 Joe Clare was the scorer and timer. 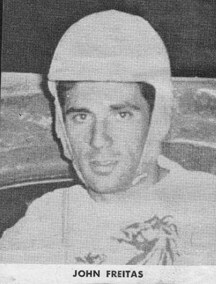 Clyde Palmer drove the Joe Mastrini Wayne Chevy in 1950. 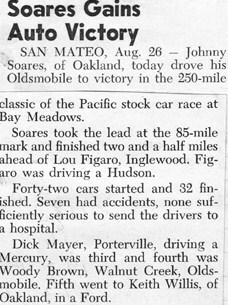 Bob Gonzales drove Ford 6 in 1950. 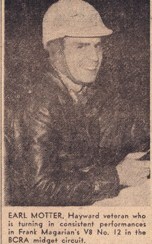 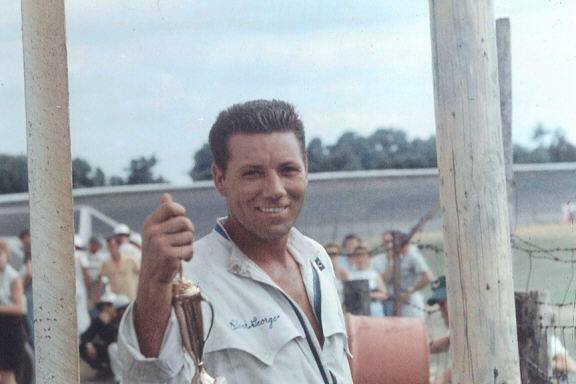 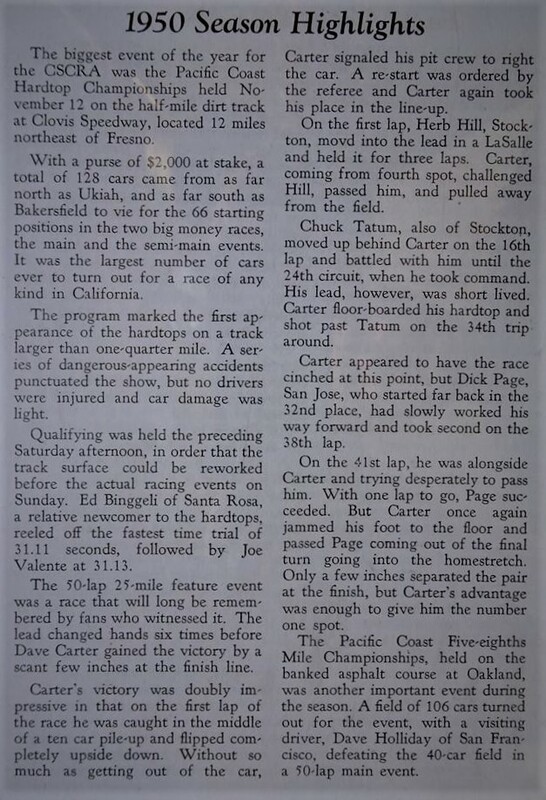 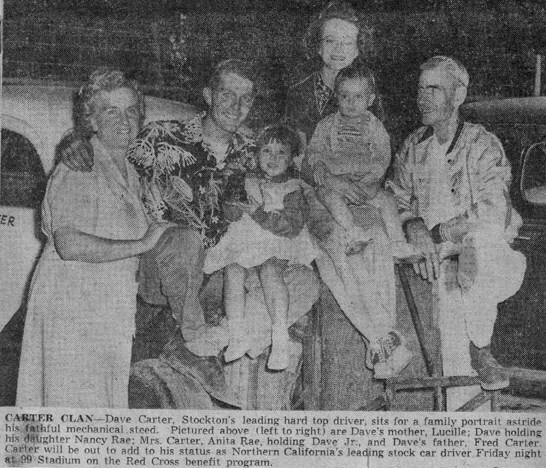 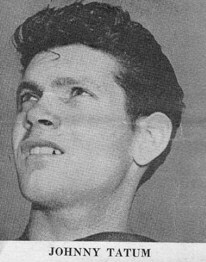 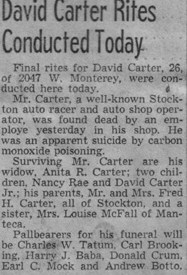 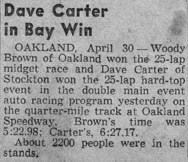 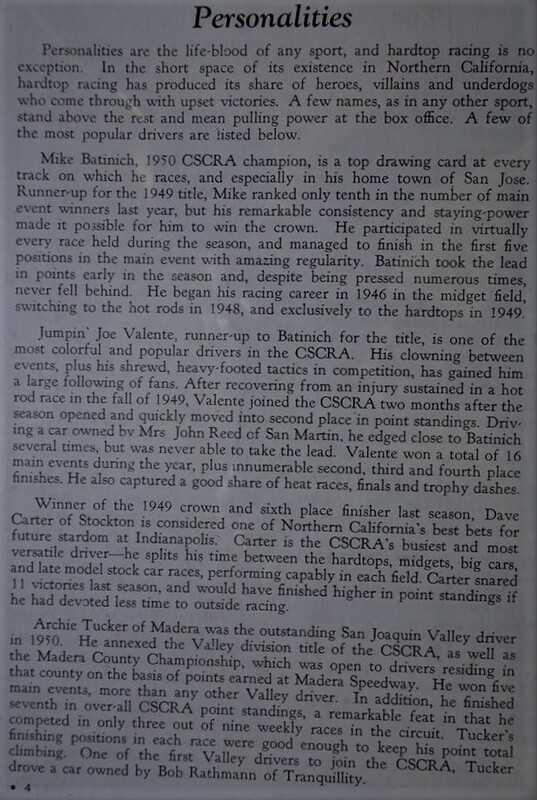 Dave Carter was the 1949 CSCRA champion. 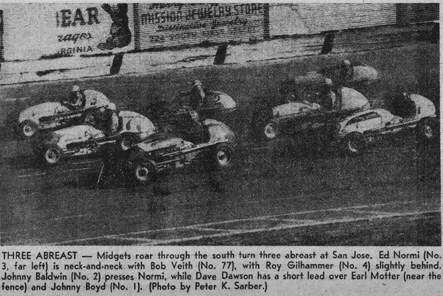 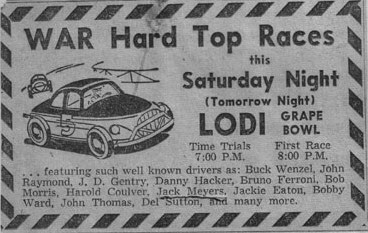 Bob Veith qualified at 111.88 mph in a midget at the old Oakland Speedway in 1949. 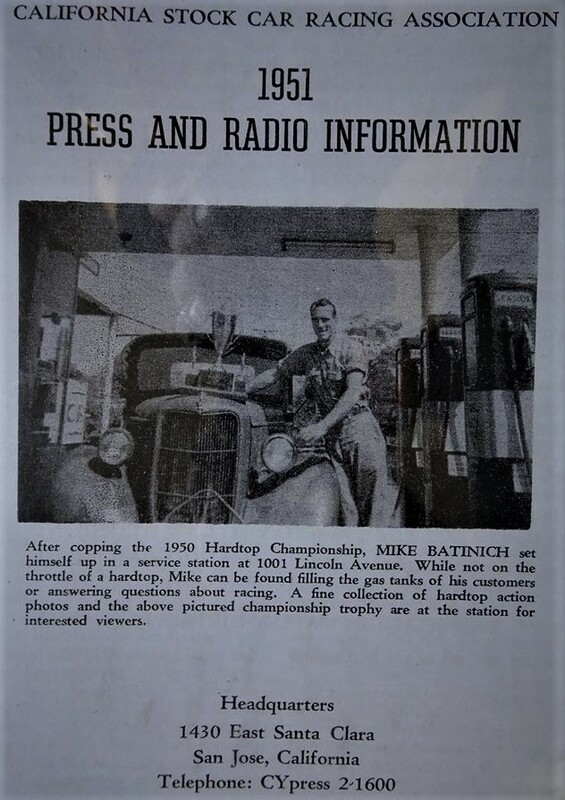 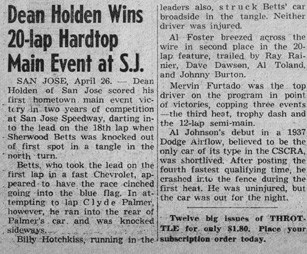 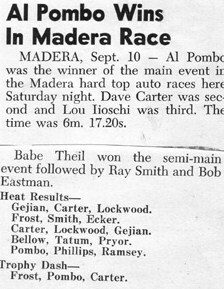 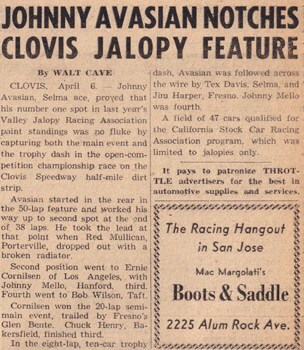 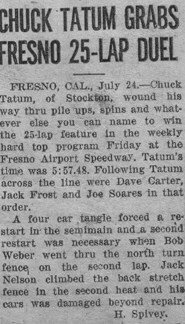 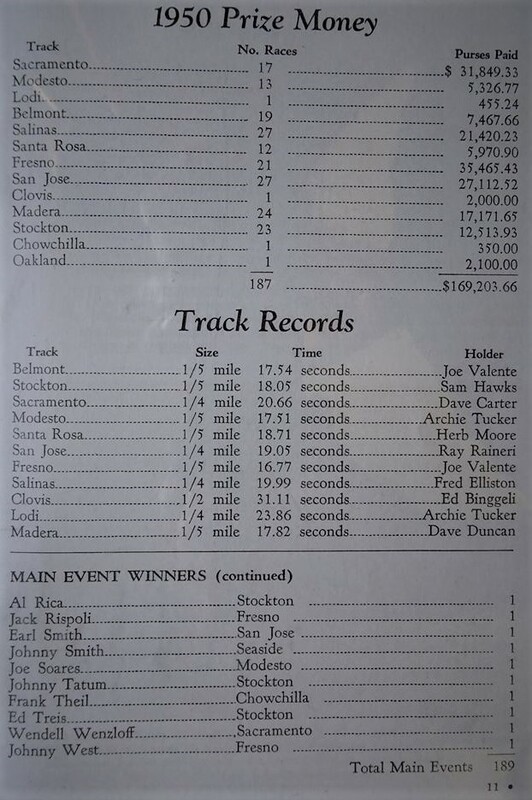 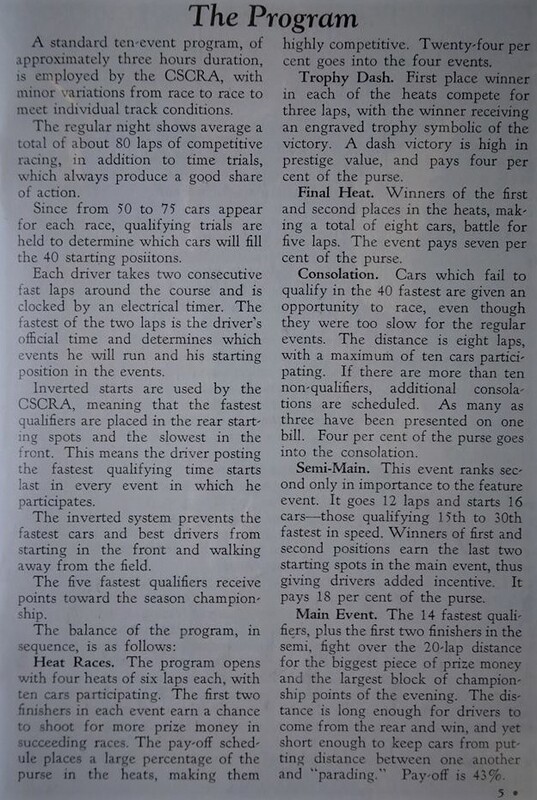 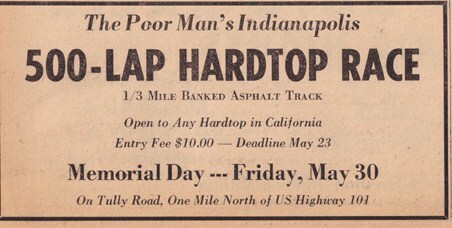 The San Jose roadster track record in 1949 was 16.62 by Ed Elisian, later broken by Bob Machin at 16.52. 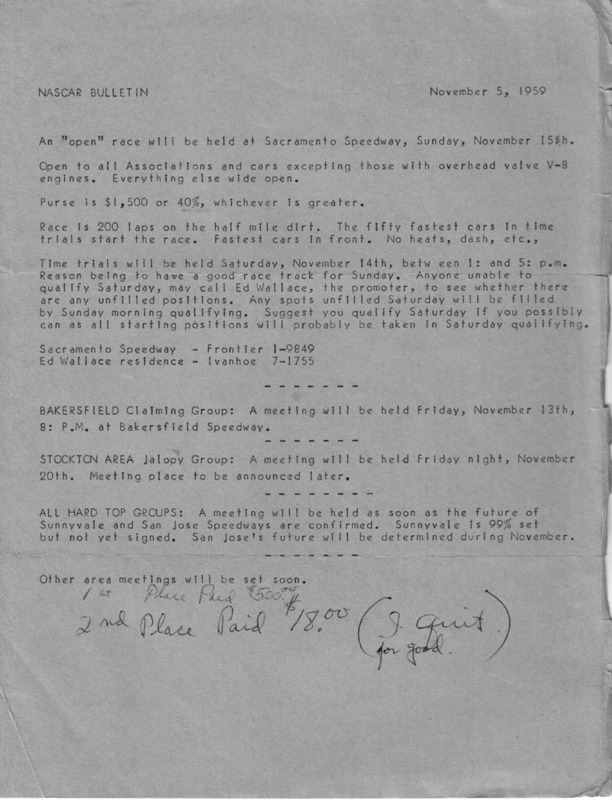 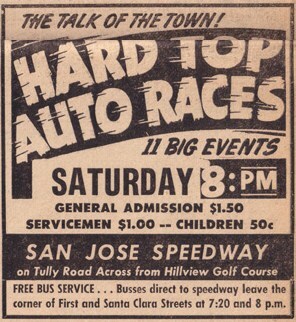 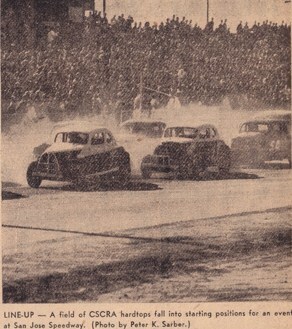 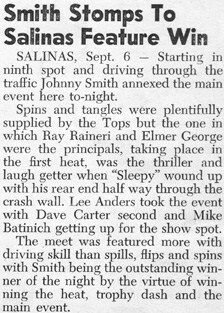 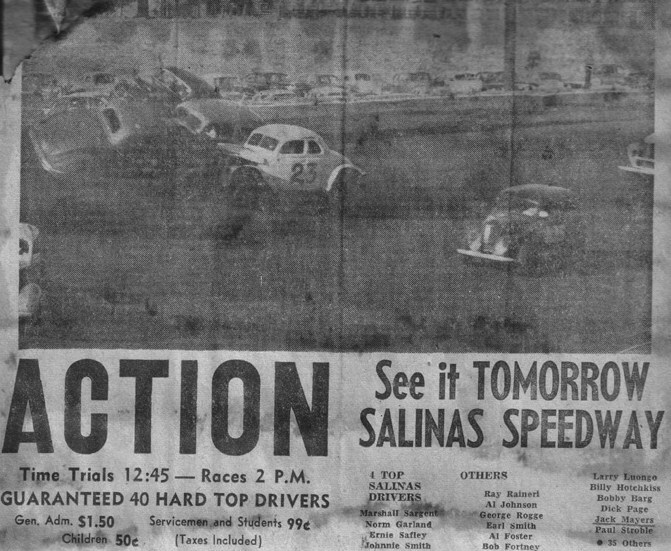 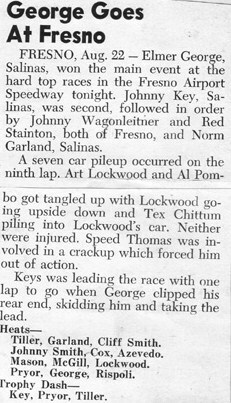 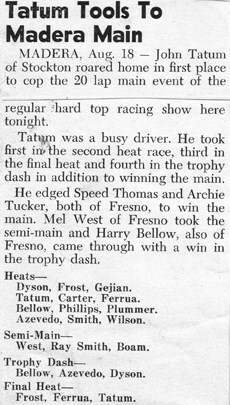 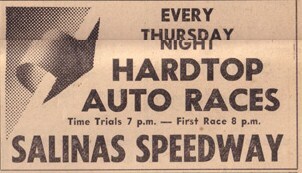 Salinas Speedway ran on Thursday nights. 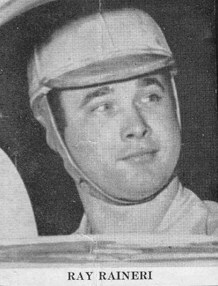 Paul Branco drove the Checkerboard #69 Special. 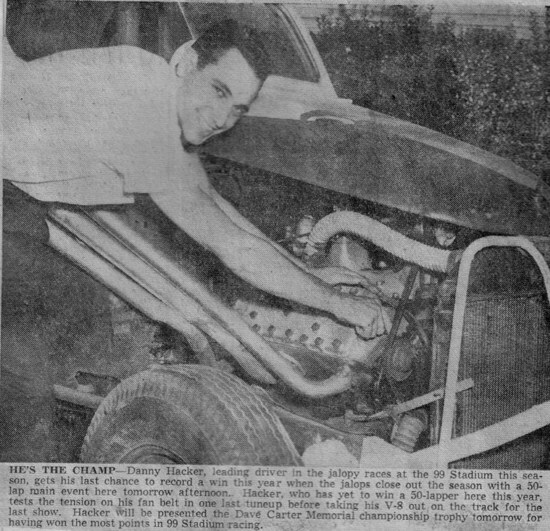 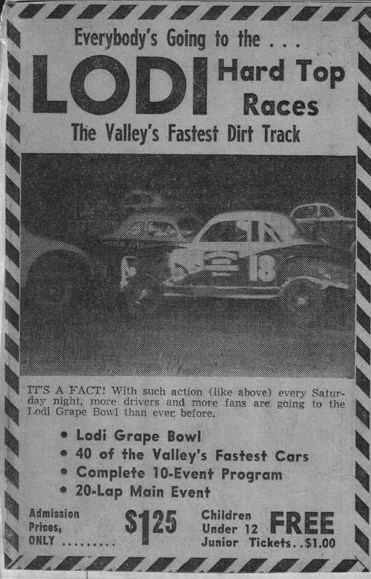 Joe Valente drove the Mrs. John Reed #57. 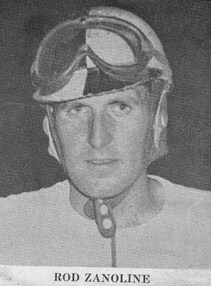 Swede Kline drove the Matt's Club #37 Special. 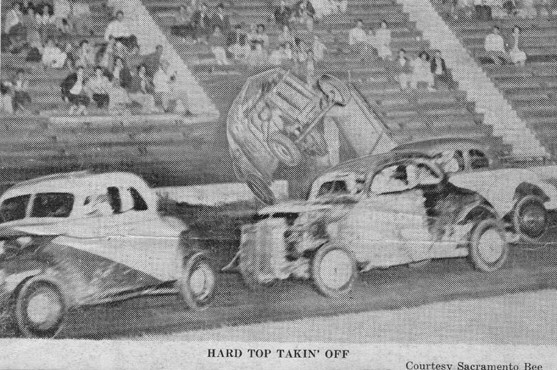 550 Hardtops were registered with CSCRA. 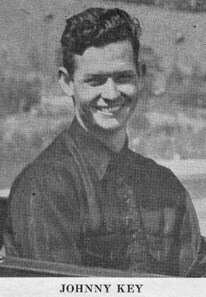 Jerry Piper was president of CSCRA. 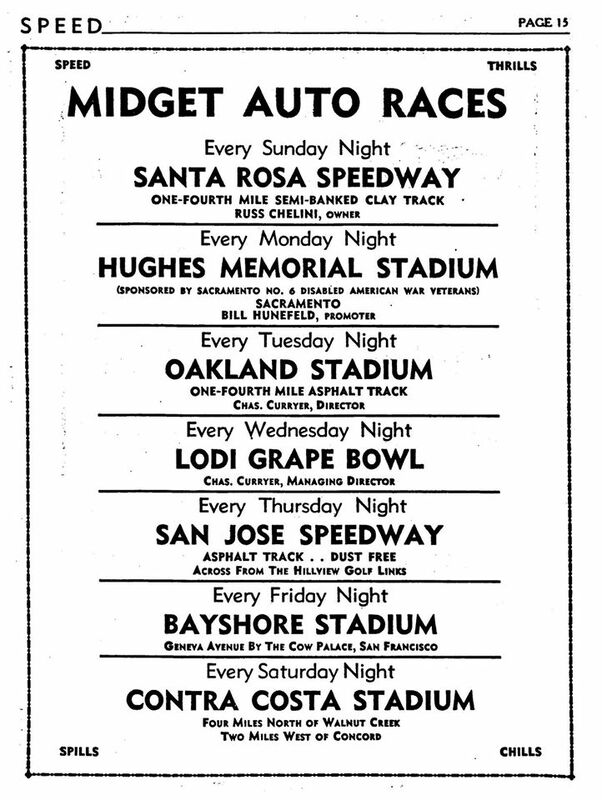 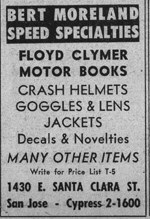 Opening day 1950 San Jose attendence was 4,790, over 2,000 were turned away ! 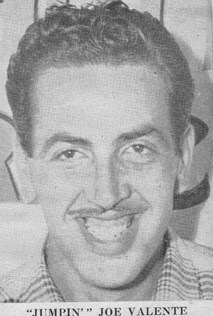 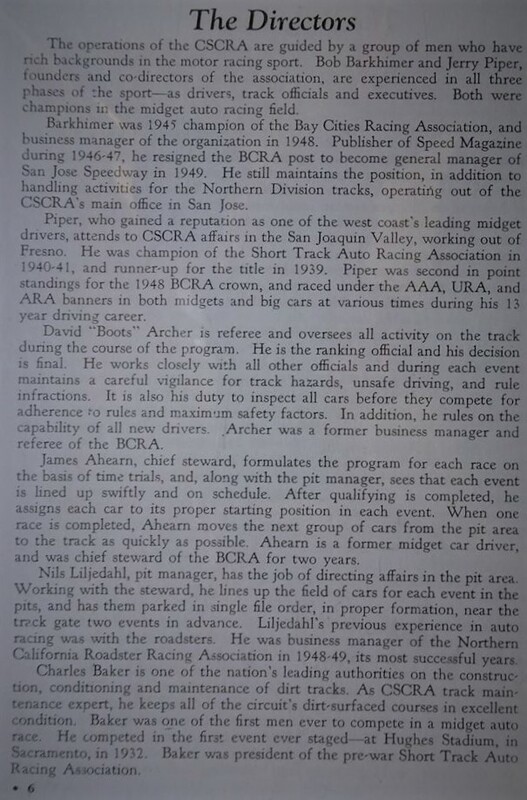 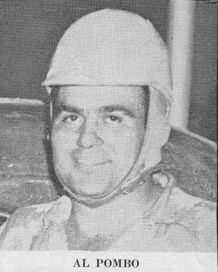 The 1950 AAA midget track record was 16.21 by Fred Agabashian.